Some organizations offer different contributions for employees based on length of service. Using CYMA Human Resources and Payroll to establish different rates based on length of service is a nine step process, but some of these steps can be skipped if you have already added a 401k Payroll Feature. 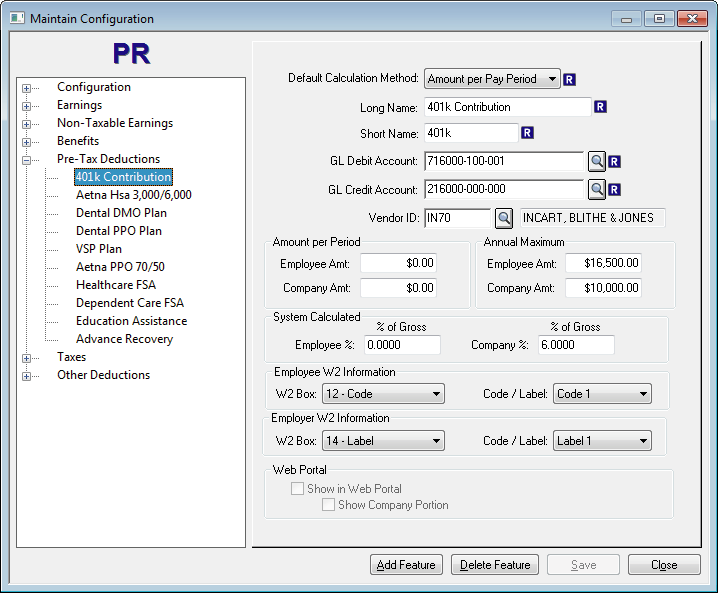 In Payroll / Maintain Configuration, add a new 401k feature using a "Pre-Tax Deduction" feature.